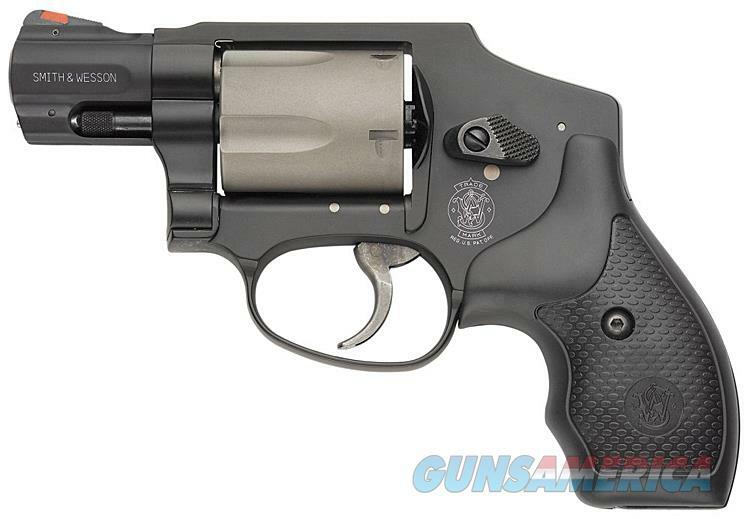 S&W MODEL 340PD IN .357 MAGNUM !! NEW IN BOX. FRESH FROM S&W! IN STOCK & READY TO SHIP ! Description: Smith & Wesson J-Frame revolvers have served law enforcement and private citizens as a reliable handgun since 1950. These small revolvers are designed to fire a full power round and are as simple and easy to use as they are reliable. The Model 340 PD is a variation of the Model 40 Centennial AirLite® that integrates the time-tested features of the original with modern advancements including ramped, no-snag front sight with red insert. This revolver is a favored back-up and concealed carry firearm due to its lightweight, enclosed hammer, and high reliability. With 5 Winchester Black Talon cartridges loaded with 180 grain hollow point bullets in the cylinder, a S&W M340PD weighs only 14.57 ounces? Less than a pound! A firearm that you can carry all day without discomfort or inconvenience. This is the revolver that we have carried personally for years. It is THE revolver that we have given to family members and to friends for their personal protection, including those who are professional law enforcement officers. We recommend this firearm without reservation. If you want a carry weapon that packs a strong punch in a lightweight, compact package that never needs cocking and doesn’t require safety disengagement, we suggest you consider the S&W M340PD. It will be ready if and when you need it. ALL BACKED BY SMITH & WESSON LIFETIME SERVICE POLICY. Collectible firearms, with focus on Kimber of Oregon, Cooper Firearms of Montana, Cascade Arms, pre-64 Winchester Model 52s, 61s, 70s, Browning Midas grade shotguns, Winchester Model 21 shotguns, Colt single action pistols (1st and 2nd generation). Quality Custom Rifles.